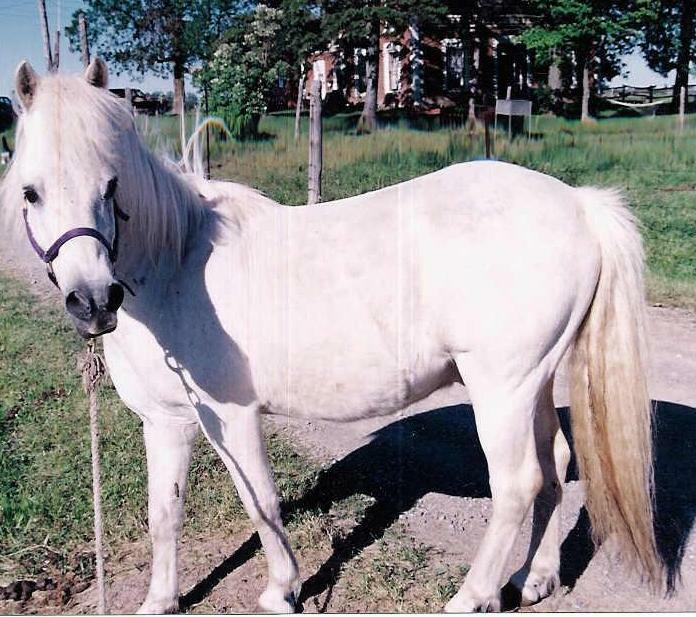 Caledon Equestrian School sadly lost its long time mascot, Romeo in 2010. 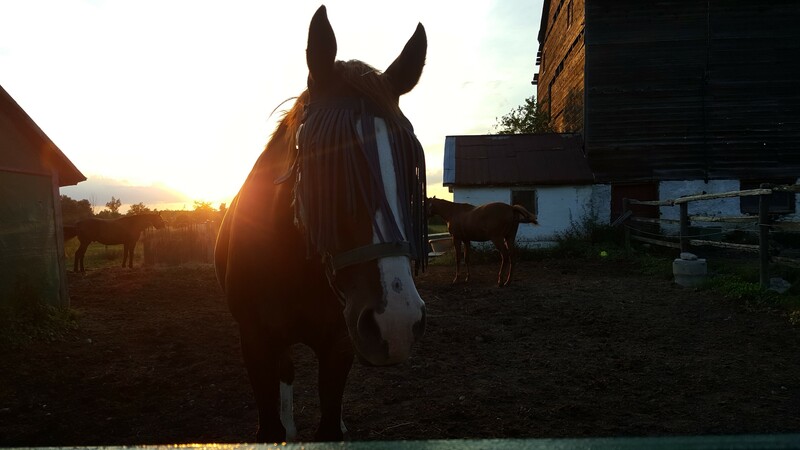 Romeo was the first member of the CES horse family. He actually started the school, with Susan Fripp’s help, 38 years ago. Since then, he introduced the joy of riding to countless riders in the Caledon area and beyond. Romeo was also Susan Fripp’s first method of transportation. Many years ago, before she had a car, Susan and Romeo would hack up to the local corner store for groceries. And during that time, he took Susan’s young daughter, Zoe, out on their first Halloween as the headless horseman, up and down Airport Rd.! Romeo was also the perfect lawnmower. Fertilizing as he went, he kept the grass at a perfect length. After a few years, he didn’t need his rope – he knew where he belonged. Romeo lived to the ripe age of 38. He gave us so much more than could ever be expected from a little guy. He taught all of us the joy of a horse’s friendship; of that magical communication horses offer to us. We were blessed to have him in our lives and we know he will be sorely missed. His spirit lives on, having introduced so many riders to their journey in the special world of horses. Skywalker was born on the farm on a magical May 4 morning. Checking on his Mom, Dusk, at 4 am, Susan thought nothing had happened. Turning to leave, she hard a low nicker from the back of the broodmare stall. Rushing into the stall, Susan met Skywalker – a long leggy chestnut colt. He proceeded to chew on anything and everything he could get his mouth on and was determined to make his mark on life! That colt grew into a 16 hand, leggy, gorgeous gelding. He moved like liquid silk and he never stopped making his mark on anyone who met him. Apart from his spectacular movement, he had a rare grace and style that made him a joy to ride. Susan trained him to 3rd level in dressage at which point he became a school master in the school. Many riders had the privilege of learning an amazing feel of riding from Skywalker and few have ridden such a wonderful horse since. Skywalker retired around the age of 25. He was becoming blind in one eye and really just wanted to bask in the love of his humans for his last few years. We were just so lucky to have had Sky in our lives. He was a dream realized for all of us and he truly did Walk in the Sky! 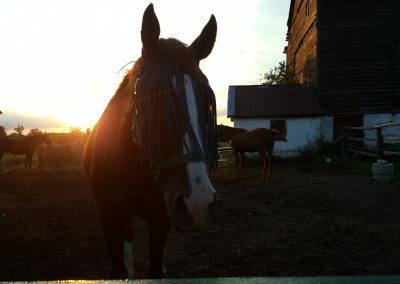 Odyssey was one of the favourite members of our CES horse family. He was a top Hunter show horse and both he and his previous owner were delighted that he could join the horse life at the school. He was such a loving and caring horse and he thrived in the love and affection he received from all the students at the school. 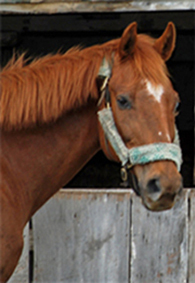 Our coach, Nicole, worked with Odyssey and trained him extensively in Dressage. He loved working and learning new skills and he definitely set a high standard for all our horses to reach. We were just plain lucky to have had our time with this very special boy. He will always be in our hearts and though he cannot be replaced, he certainly gave us so much to aspire toward in our horse life. Thank-you Odyssey.